Cristo Rey’s annual Health Day gives students an opportunity to dress down, get up and be active. A yoga class was offered throughout the day and was a favorite of many students. 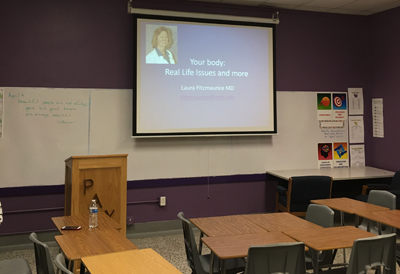 Among the variety of classes set up for the students of Cristo Rey, was a class covering women’s health hosted by Dr. Laura Fitzmaurice who hoped to debunk common women’s health myths. 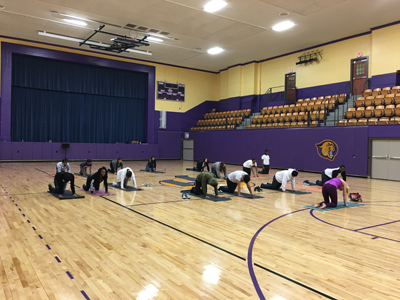 Students at Cristo Rey loosen up and de-stress in a morning yoga session. 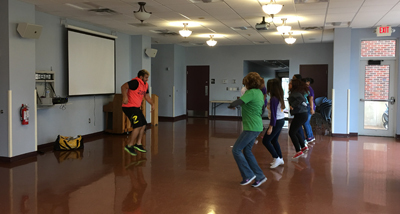 Students get a break from their usual classes and get moving in a Zumba class. 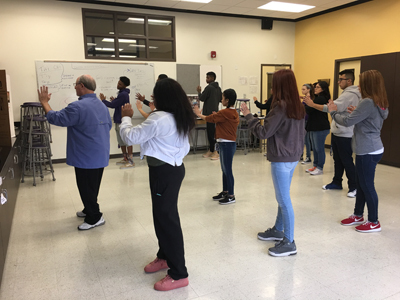 Instructor John Melito encouraged students to use Tai Chi as a way to tackle stressors in their daily life. 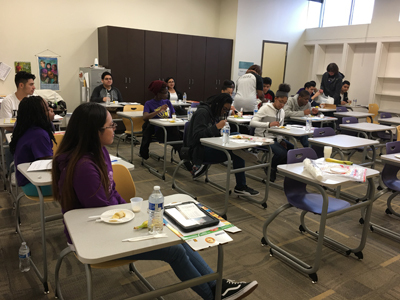 Cristo Rey students sat through a class that covered best nutrition practices. 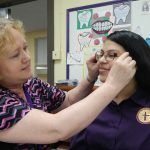 On April 5, Cristo Rey students and faculty participated in their annual, all-day Health Day. 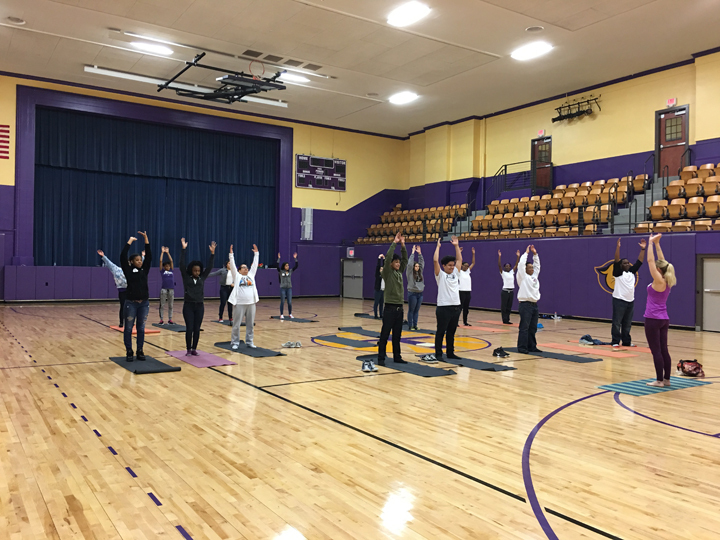 I was honored to attend Health Day, and watch how the school promoted physical and emotional health through Zumba, meditation, yoga, and discussion groups. Cristo Rey’s Facebook page said Health Day covered healthy lifestyle topics from A, for an apple a day, to Z for Zumba. 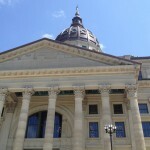 Students rotated from active participation sessions to discussion topics centered around maintaining health. 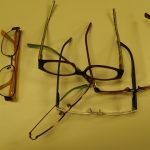 Please enjoy the slideshow above to see the positive instruction in all varieties of health. Thank you Health Forward Foundation for keeping us healthy and helping us make smart lifestyle decisions. What a wonderful event, Rebecca! We’re proud to partner with Cristo Rey and help make healthy lifestyles the norm for students.